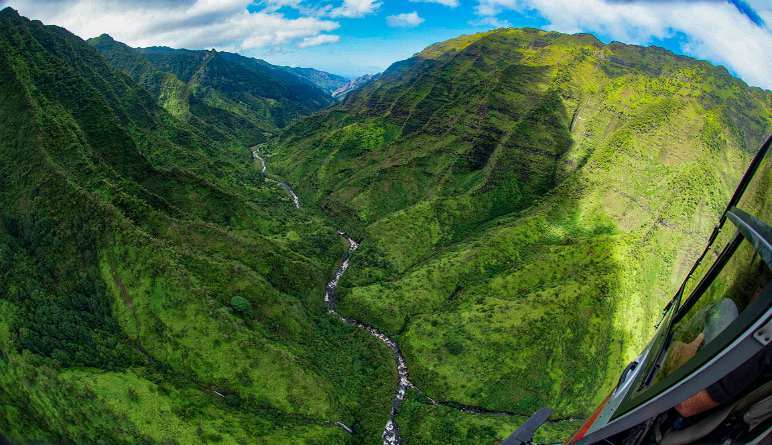 This Maui helicopter tour is as legendary as the island’s revered namesake. Over the course of an hour, you’ll fly above two magnificent islands! Hawaiian folklore has it that Maui and his father once raised a falling sky back to the heavens. 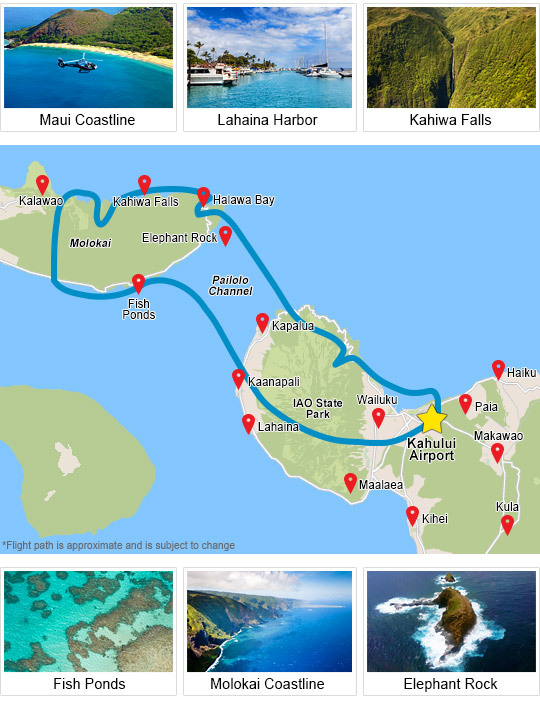 Paying homage, this tour thrusts upwards past the horizon, conquering the sprawling blue much like Hawaii’s beloved hero. And you’re onboard for the big adventure! 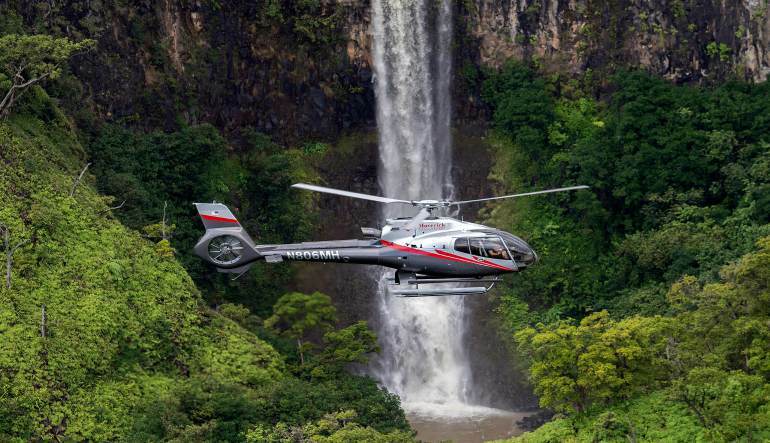 This Maui helicopter tour is as legendary as the island’s revered namesake. Over the course of an hour, you’ll fly above two magnificent islands, receiving the Aloha State’s undeniably finest views. Sharp cliff sides, waterfalls, rainforests and distant views of dormant volcanoes are just a few of the magical signposts you’ll encounter. 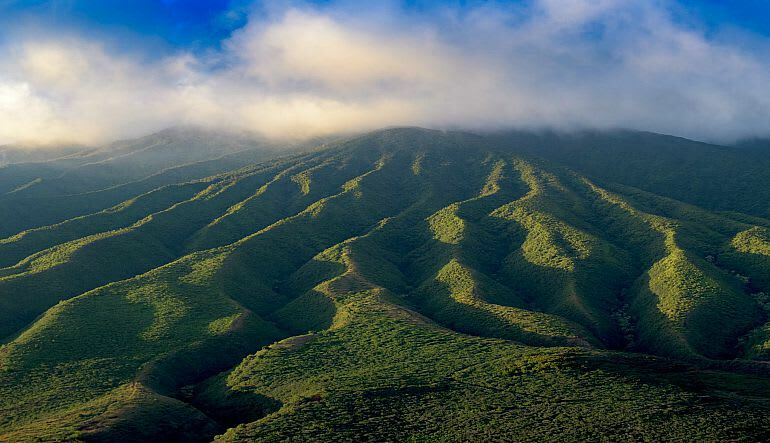 Depart from Kahului Airport and travel to the Friendly Isle, Molokai. Visit the largest sea cliffs in the world and towering waterfalls including Kahiwa Falls, the tallest in all of Hawaii. Swoop over to the North Shore where you’ll encounter the Halawa Valley and lava-rock encircled fish ponds of Molokai. Next, it’s on to the Pailolo Channel, home to the bluest of blue waters and Elephant Rock, a natural formation that yes, looks like an elephant. On to Maui! Here, head to Iao Valley State Park on the Island’s western portion. We could keep going, but really, Hawaii is so abundant in natural scenery this list could stretch volumes. Check it out for yourself! My wife and I were so very excited before the helicopter trip. This was our first time riding a helicopter. We were awe- struck and speech-less afterward. We will never forget the wonderful experience. Thanks so much.